Press freedom and the self-regulation system that supports it is based on a three way pact between the public, news producers and media owners. We need assurance that everyone is on board, with the public as priority. Journalism’s self-regulation is accepted and certain privileges are extended only because owners and producers agree to uphold certain values in their practices. And the basis of the pact is not just the ethical codes but also a general trust and an understanding between the three stakeholders that the public will get the information they need to make informed decisions. In general for any contract to be effective the parties must have the same understanding of the terms. When one party begins to behave in a way that implies their understanding of terms is not the same as the others, we have a problem. And the attempts by Denis O’Brien to suppress information about his affairs that was subsequently found to be of public interest has highlighted an important difference of opinion among stakeholders in Ireland. 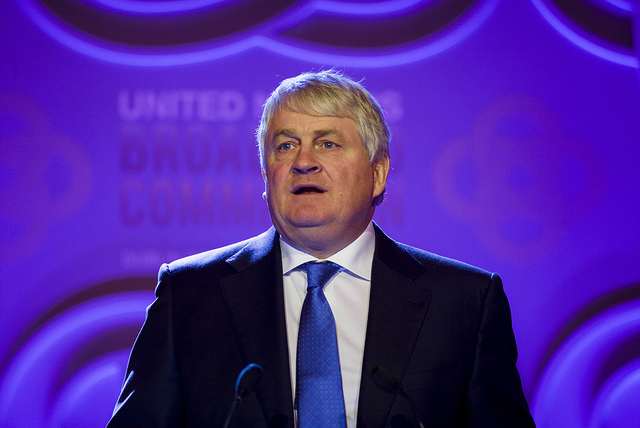 Recently Denis O’Brien’s behaviour has caused concerns in the Dail, the media and the public’s realm, social media. It started with the attempt to keep information about his business affairs private, affairs which Catherine Murphy TD and Pearse Doherty TD under Dail privilege revealed to the public. O’Brien sought an injunction to prevent RTE from covering the speeches and for a time succeeded. But after the injunction was lifted the media could report what everybody already knew. And when the TDs comments were ruled to be protected by Committee on Procedures and Privileges, O’Brien’s sued the Government. The lack of clarity around the injunction by O’Brien against PR firm Red Flag, in which he claims a conspiracy to defame him has only compounded concerns. In general Denis O Brien’s movements have been to block the publication of information about him that is potentially in breach of the law. And these are matters for the courts to decide. But this doesn’t shake the feeling that that we are not all on the same page when it comes to what is up for scrutiny. It’s not to suggest any influence on his titles, a content analysis would be needed for that and in general they are reporting the events much the same as others. But this is more about the spirit of journalism and how we expect owners to mirror our values. In order to get a true sense of how this social pact between the owners, readers and writers operates today, it is useful to look back at how and why it came about in the first place. When we look back what we find is that when media owners step out of line, the public do not take it lightly. Back in the early days of journalism, newspapers were little more than soap-boxes for owners. Journalism was ‘a scandalous profession’ with gossip mongering and muckracking the norm and ‘rumour has it’ was good enough for a front page story. This was time when Daniel Defoe and Johnathan Swift were the ‘proto-gossip columnists’ and journalism was a largely unregulated ethical free zone. But the architype immoral modern media baron is William Randolf Hurst who exploited the power of the media for his own gains. This was a time when media moguls played out personal and political grudges through their publications. 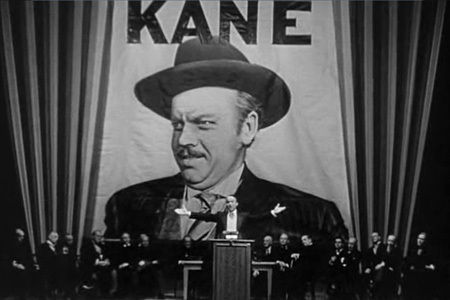 The era is depicted so famously in Citizen Kane, the powerful cautionary tale with a real life monster more potent than vampires or zombies. The low ethical standards and overt intervention in the content of his newspapers triggered a collapse in trust in the entire news industry. The result was a general movement towards the formation of professional ethics. The US Government began considering the role of the press in a democracy and in the 40’s the Hutchins Commission decided that a commitment of social responsibility be imposed on the mass media. In order to have a healthy democracy a healthy media was needed and everyone would have to agree. And it was in this environment that expectations of ethical news producers and media owners to share the public’s values of public interest information entered the public consciousness and have remained an important binding agent ever since. Later the decade of sleeze that was the 90’s, prompted by the hyper-commercialisation of news brought other values to the fore. Between 1990 and 1995 there were 34 Conservative, 4 Labour and 1 Lib-Dem tabloid scandals resulting in 14 political resignations. This was the decade the Press Complaints Commission (PCC) was established. But concerns about privacy invasions and sensationalism for the commercial gain was still rising when Princess Diana was killed, pursued by paparazzi in 1997. The public disgust with the news media was overt and and expectation to retain a respectful distance from subjects and not exploit their private lives remains a central tension to this day. More recently the News of the World Hacking Scandal and the paying-off of police for information; followed by the Leveson Inquiry and the court cases against top News Corp officials exposed again considerable ethics failures and inappropriate interventions in UK tabloid media system. This time the medias failure to be properly accountable was the value under scrutiny and new expectations for more accountability was symbolized with the dismantling of the PCC and the establishment of a more robust and effective Independent Press Standards Organisation (IPSO). The point here is that if owners or producers values are not aligned with the public’s, it undermines the social contract. When this happens we a forced to reconsider the terms of the agreement and the spirit in which the parties entered it. The practical problem is that the social contract underpins media regulation and sometimes when trust is grievously breached, it triggers formal interventions. What the public have come to expect is more than just keeping to the codes of ethics. They expect a dedication and shared definition of the public interest information with both producers and owners. And they are right to be concerned when the behaviour of owners or producers seems to go against it. So what the public need now is not just ongoing technical explanations about how O’Brien feels he has been wronged. In an effort to maintain the health of the relationship, a broader reassurance that the owner still holds true to the spirit and values that underpin press freedom to inform in public interest is on order. A press release would be a fine place to start.